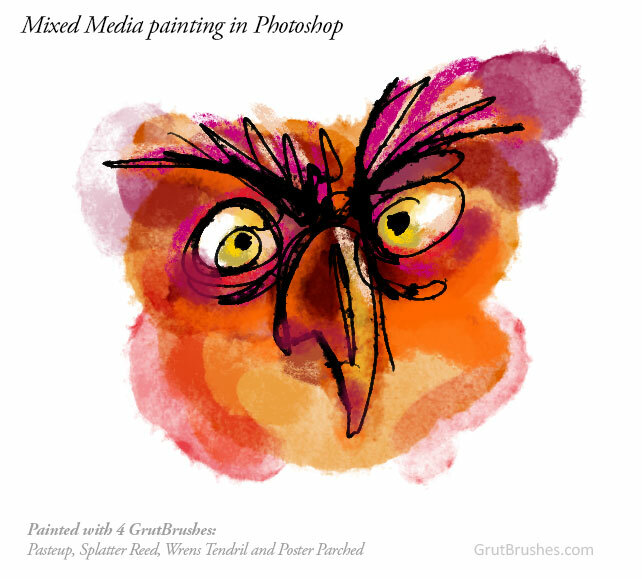 This Photoshop watercolour brush “Crispy Blot” is the free brush of the week, you can download it on the free brush page until November 14th after which it will alwys be available in the Shop or as part of the ArtBrushes collection. 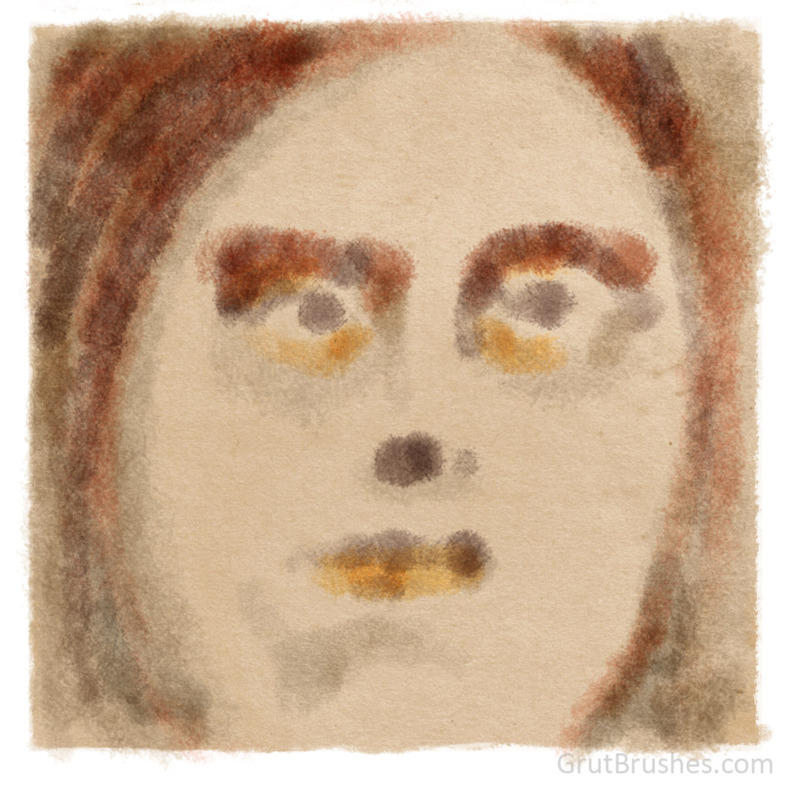 It’s been a little while since I put out a watercolor brush so here’s a gritty one for you. 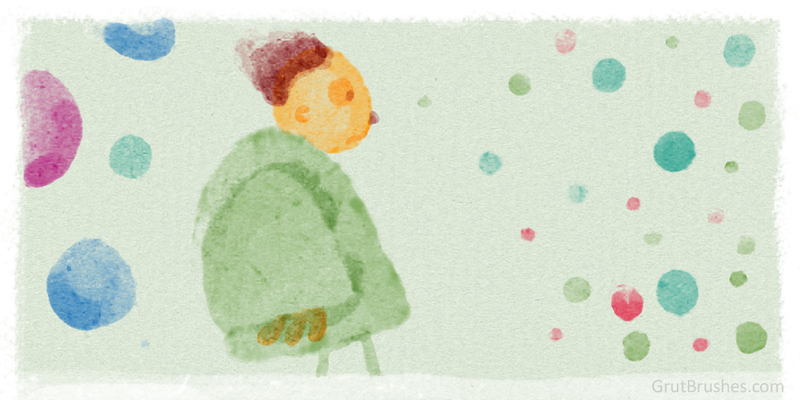 ‘Sip Dream’ is a very grainy Photoshop watercolor brush with a tendency to pool paint in small sections. This brush has a Fairly wide range in tone with about a 70% opacity at the top range of pressure. As usual this one is free for Art brush Members. 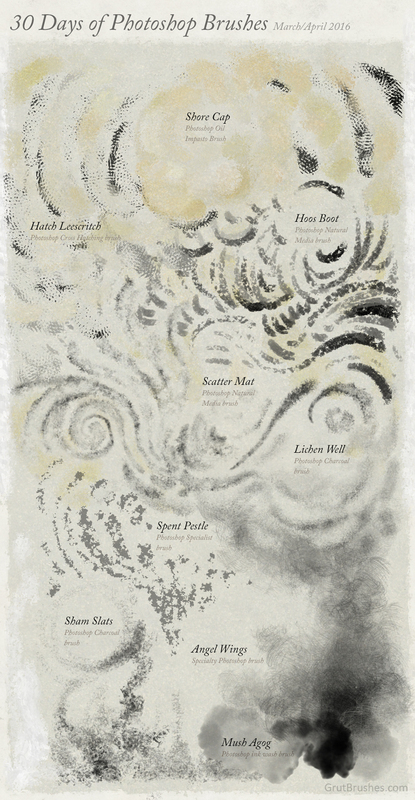 Just some of the Photoshop brushes released in the Shop over the last month or so. If you recently bought the ArtBrushes Complete or Multiset: don’t forget you get all new brushes for up to two months with your free membership! These are a few you may not have yet downloaded from the last few weeks. 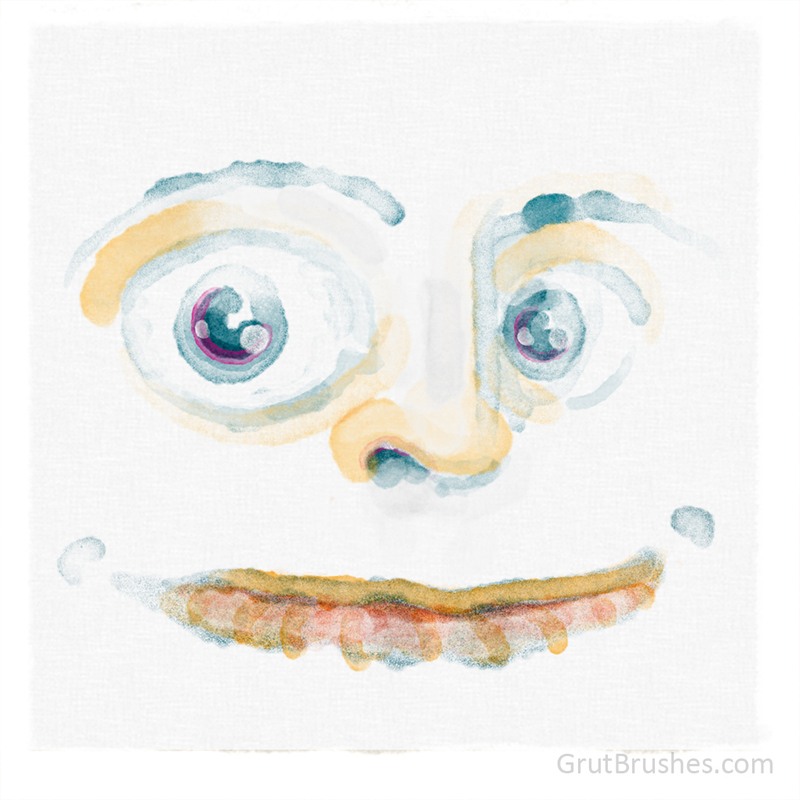 I added this wet inky Photoshop wash brush to the shop this morning. Start slowly with a soft stylus pressure and build on it by drawing back and forth to add more soggy ink until you have as much ink pooling as you need. Take care not to lift your stylus until you finish your stroke if you want to avoid overlapping edges. It’s edges sometimes look better in general with a bit of softening using either a blender or an eraser. 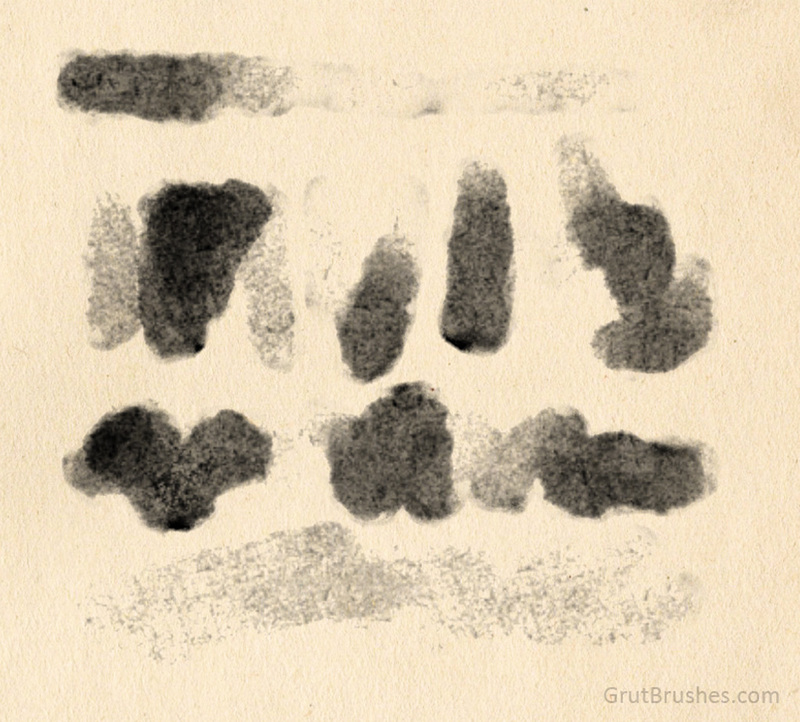 This week’s free Photoshop brush is a soft but grainy watercolor brush you can download it on the free brush of the week page until Monday when there will be a new one. 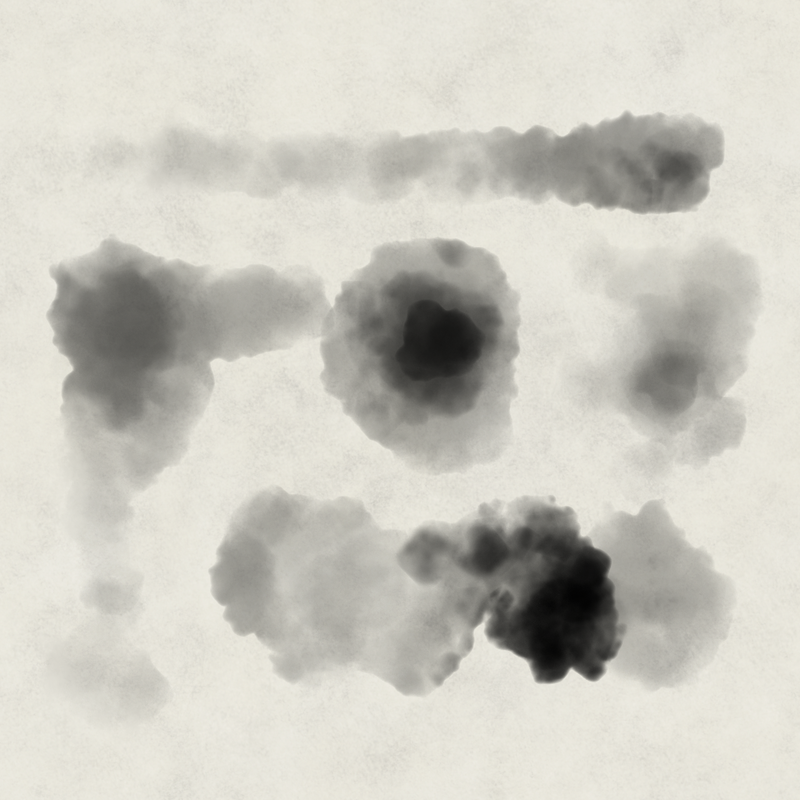 You can download this week’s free Photoshop brush until next Monday when, as always, there will be a new brush. When making and testing brushes I tend to spend so much time with just one brush that I forget how the much fun comes from combining brushes. Sketching a stick figure outline with an ink brush I gave it some body and shading with a watercolour brush, a fun-fur collar and hat with two strokes of a fuzzy Charcoal brush, then back to ink for some personality by way of a pair of oversized blue glasses.